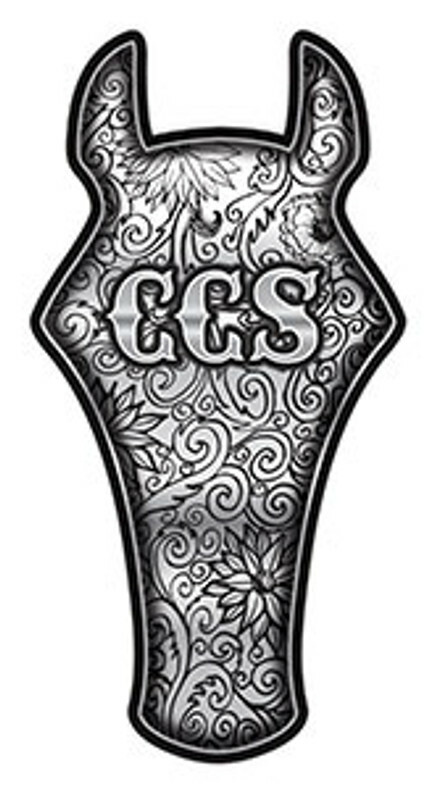 The Wildorado trophy buckle is made of German Silver with a black overlay. The Border is made of our Jeweler's gold beads and two stones on each side. This buckle has a four stone standard in the body of the buckle. The Wildorado lettering is done with our Basic Jeweler's gold lettering. If you would like to add your own custom logo, attach a file in the order form or check out our pre-designed logos and figures at the bottom of the home page. If you would like to see the different types of lettering, borders, and stones we can do Click Here.